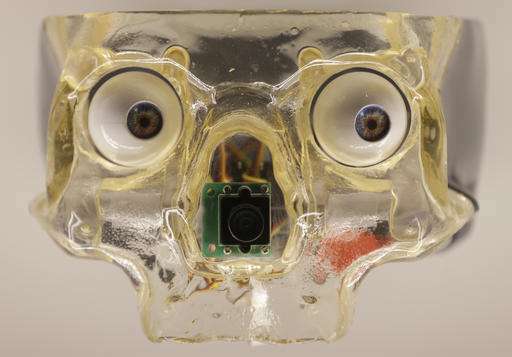 Inspired by his belief that human beings are essentially terrified of robots, Ben Russell set about charting the evolution of automatons for an exhibition he hopes will force people to think about how androids and other robotic forms can enhance their lives. 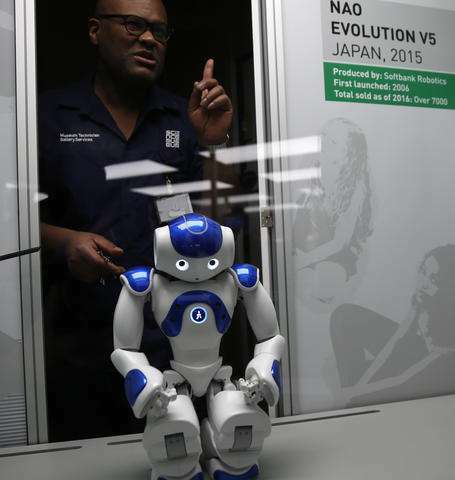 Robots, says Russell, have been with us for centuries—as "Robots," his exhibit opening Wednesday at London's Science Museum, shows. 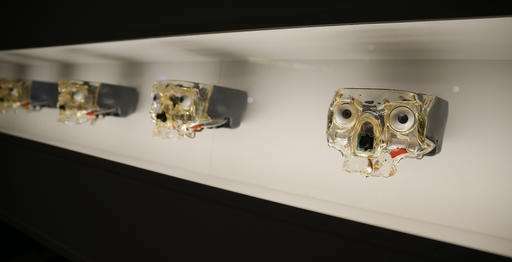 From a 15th century Spanish clockwork monk who kisses his rosary and beats his breast in contrition, to a Japanese "childoid" newsreader, created in 2014 with lifelike facial expressions, the exhibition tracks the development of robotics and mankind's obsession with replicating itself. Arnold Schwarzenegger's unstoppable Terminator cyborg is there, as is Robby the Robot, star of the 1956 film "Forbidden Planet," representing the horror and the fantasy of robots with minds of their own. 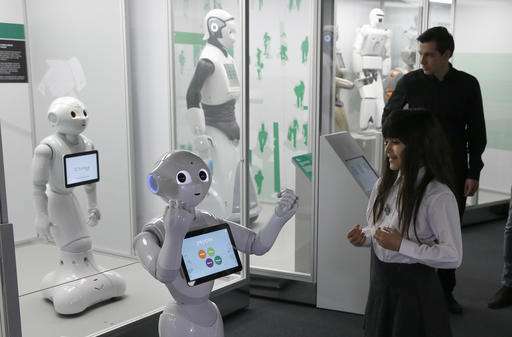 There are also examples of factory production-line machines blamed for taking people's jobs in recent decades; a "telenoid communications android" for hugging during long-distance phone calls to ease loneliness; and Kaspar, a "minimally expressive social robot" built like a small boy and designed to help ease social interactions for children with autism. 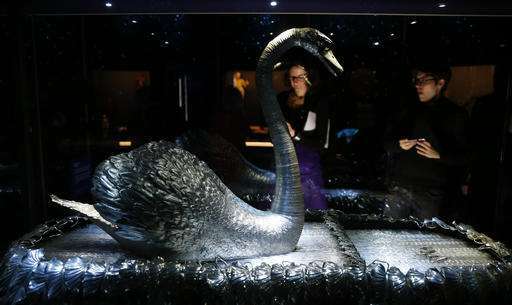 "When you take a long view, as we have done with 500 years of robots, robots haven't been these terrifying things, they've been magical, fascinating, useful, and they generally tend to do what we want them to do," said Russell, who works at the science museum and was the lead curator of the exhibition. 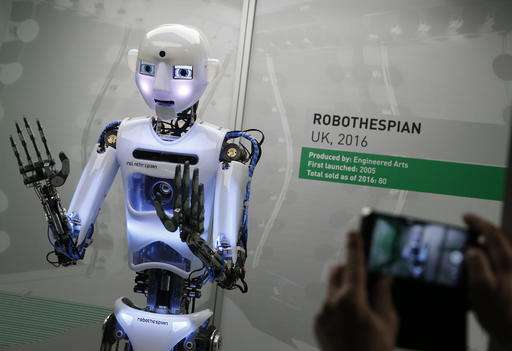 And while it's human nature to be worried in the face of change, Russell said, the exhibit should help people "think about what we are as humans" and realize that if robots are "going to come along, you've got a stake in how they develop." A total of 100 robots are set in five different historic periods in a show that explores how religion, industrialization, pop culture and visions of the future have shaped society. For Rich Walker, managing director of Shadow Robot Company in London, robotics is about what these increasingly sophisticated machines can do for humans to make life easier, particularly for the elderly or the impaired. "I'm naturally lazy and got involved so that I could get robots to do things for me," Walker said. 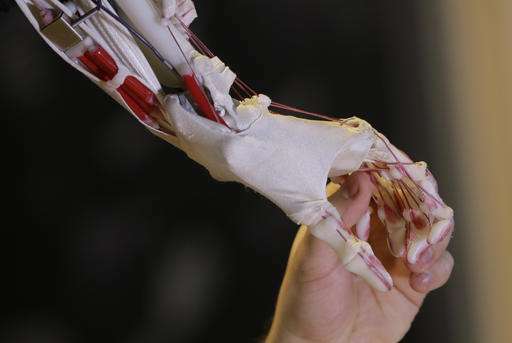 His company has developed a robotic hand that can replicate 24 of the 27 natural movements of the human hand. 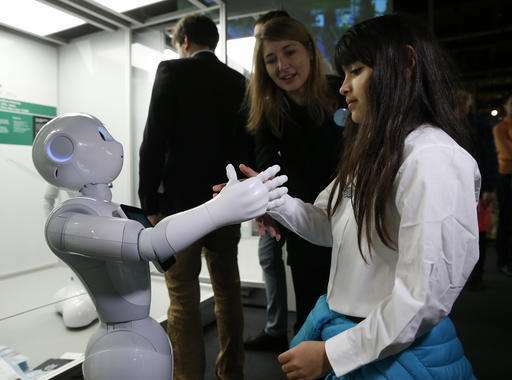 As humans have a 1 percent failure rate at repetitive tasks, committing errors about once every two hours, the hand could replace humans on production lines, he said. Walker concedes further erosion of certain types of jobs if inventions such as his are successful, but says having repetitive tasks performed by automatons would free up people to adopt value-added roles. "The issue is to rebuild the economy so that it has a holistic approach to employment," he said. 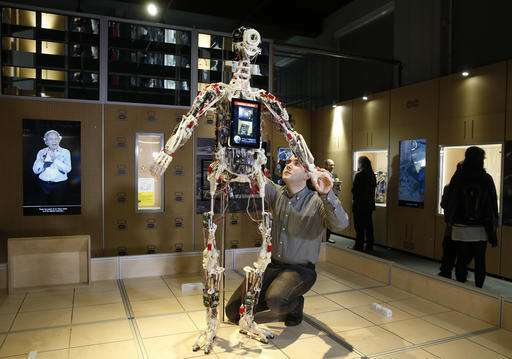 This in turn leads to questions, raised at the exhibition as well as by the European Union, of whether or not robots should pay taxes on the value of their output as part of the new industrial revolution.